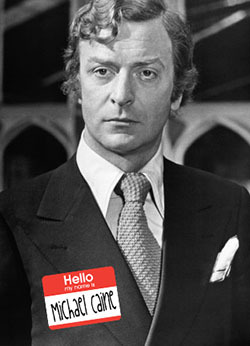 Michael Caine claims his portrayal of Alfred in the Nolan Batman films was in the SAS before he became a butler for the Waynes. Hence the "some men want to watch the world burn" dialogue in Dark Knight. "You're a big man, but you're in bad shape. With me it's a full﻿ time job". No, that was in the Only Fools and Horses special. I did like his delivery when he said "At one hundred yards, volley fire present! Aim! FIRE!" in The Italian Job. My favourite is when he tells batman that the batmobile isn't subtle enough and lends him his honda civic instead. But he gets fucked off his face on crystal meth and crashes it into some prostitutes and Alfred dryly remarks "that's hardly very subtle sir"
I liked the bit where he opens an expensive restaurant.